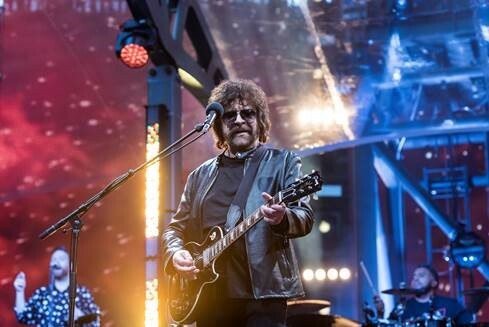 The concert documentary, JEFF LYNNE’S ELO: WEMBLEY OR BUST, will make its U.S. television premiere on SHOWTIME on Friday, July 27 at 9 p.m. ET/PT on-air, on demand and over the internet. Celebrating Lynne’s enduring and ongoing musical legacy, director Paul Dugdale documents Lynne’s ELO performance in England’s famed Wembley Stadium in front of a sold-out crowd of 60,000 fans in 2017. To watch and share a new clip from JEFF LYNNE’S ELO: WEMBLEY OR BUST, watch the video below. JEFF LYNNE’S ELO: WEMBLEY OR BUST is directed by Paul Dugdale and produced by Simon Fisher. Julie Jakobek and Craig Fruin serve as executive producers.